Skiing together as a couple – pre-kids. If you are like my ski-loving family, you are probably counting down the days until the start of ski season this year. As much as I love the hobby, it can be an expensive one. Lift tickets, gear, clothing, lodging, food, and more all add up. It’s especially expensive with kids in tow to double or even triple the cost. Luckily, we’ve found quite a few ways to make the budget work for our family. Here are my very best tips for saving money on family ski vacations. Little guy has a few more years to ski free at most resorts. Many ski resorts don’t charge for kids to ski until they reach a certain age, but that age can vary greatly. If your child is going to be skiing with you and not in ski school, not having to pay for a lift ticket at all is a huge savings. Most resorts begin charging somewhere between age 4 and age 7, so check the policies carefully of resorts you are considering if you have children in the age range who might be free some places and full price elsewhere. Quite a few resorts offer lift tickets that parents can share as they switch off skiing and childcare duties. These tickets are a huge money saver if you have a little one too young for ski school and no babysitter to watch your kids while both parents ski. 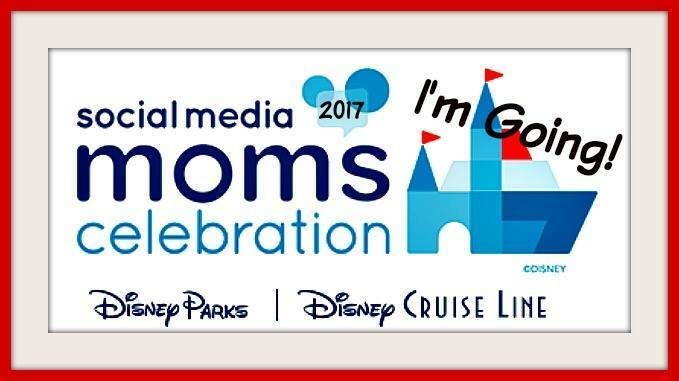 Resorts call them a lot of different things – parent predicament passes, parent switch tickets, etc. – but they all work the same way. You pay for one adult pass and hand it back and forth between two adults. In my experience with Lake Tahoe area ski resorts, not all resorts advertise that they offer these passes, so call the ticket office in advance to confirm. Never ever wait until you get to the lift ticket window at your ski resort of choice to purchase your lift tickets. Never. It’s incredibly easy to pay much less than rack rate with just minimal planning. Many resorts offer discounted daily tickets just by pre-purchasing them online on the resort website. You can also often find discounted tickets at local ski shops (in the San Francisco Bay Area, for example, Sports Basement sells discounted tickets to many of the Tahoe-area ski resorts). Your employer may even offer discounted lift tickets to area ski resorts as an HR perk. And don’t forget other discounts you may have access to – military pricing, AAA rates, and more. If you are going to ski several days in a single season, look for multi-day discounted tickets from your resort of choice – either a season pass or a multi-day discount pack. My husband and daughter, for example, purchased Tahoe Local Passes from Vail Resorts this fall, as we are going to be skiing at Northstar California for the bulk of the season this year (note: I’m a Northstar ambassador for the 2016-2017 season and Northstar has graciously provided me a pass). We realized we “break even” on my husband’s pass after just 3-4 days of skiing, so it’s a huge value. The pass is also good at two other Vail-owned Tahoe area resorts, Heavenly and Kirkwood, and even has 5 free days at Vail owned resorts on Colorado and Utah. We saved even more because we purchased early in the fall for best pricing. As much as I love the amenities of larger resorts (and my husband loves the challenging runs), mixing it up with visits to smaller resorts often makes serious budget sense. If your children are just learning to ski, ski schools are often drastically less expensive at the smaller ski hills. As long as the ski resort has good quality instructors, the lack of advanced terrain at the resort really doesn’t matter if your kids are going to be on the bunny hill the whole time. Other than lift tickets, the major cost of a ski vacation for family travelers is lodging. Slopeside hotel rooms can be very pricey and often mean you don’t have a kitchen to cook and further lower your food costs. Book a vacation rental instead and save even more by going up to the mountains with another family. We have some friends who have booked a ski lease the past few years in the North Lake Tahoe area that has enough bedrooms for 3 or more families. We have all saved a bunch by bunking with them on some weekends and splitting the cost of their larger place. Plus, apres ski activities are more fun for both the adults and the kids with a big group hanging out. Big sister’s black ski bib is going to come in handy for my toddler son in a few years. As tempting as that cute hot pink ski jacket may be for your three year old daughter’s first turns on the ski slopes, you may be kicking yourself for buying it next year when her baby brother is born. I somehow had the presence of mind to buy lots of black and other neutral gear for our daughter that we are starting to be able to use with my son. Although I’ve certainly seen lots of baby brothers forced to wear that same hot pink ski jacket, that’s a battle I’d rather not have to fight every winter. Because I live in an area with many ski destinations nearby, we have a lot of neighbors and friends who ski. We pass down, borrow, and lend everything under the sun. It’s really hard to wear out kids ski gear before they outgrow it so it can definitely be used by quite a few kids. Look also at local parent swap groups and yard sales for hand-me-downs. Just like at theme parks, you’ll find the highest prices on everything – from food to gear rental – once you get there. A great way to save on ski and boot rentals is to rent it closer to home rather than on mountain. The San Francisco Bay Area where I live has a number of ski shops that rent gear for travelers headed to Tahoe, and your city may have the same. If you are going to ski multiple times a season, consider a season ski rental package where you get skis and boots all season long and only return them in the spring when the season is over. These packages are often incredibly economical. Selection of ski clothing at my local Target. When my now 7 year old daughter first started skiing, the only place to buy quality snow play and ski clothing was at an outdoor or specialty ski shop. Those prices added up quickly. The past two winters, however, I’ve started noticing that Target is carrying a large variety of ski bibs, ski jackets, and gloves at exceedingly reasonable prices. Of course, these items won’t match The North Face or Roxy in terms of quality. But if your kids outgrow ski gear in a season or two anyway, it doesn’t really matter! Our local Target is already seeing a depletion of stock in early November, so I’d advise buying now instead of waiting until a few weeks before your Christmas or MLK weekend trip. Or shop online here for girl’s ski clothing or boy’s ski clothing. Are you skiing this winter? Share your money-saving tips and hacks in the comments. Disclosure: I’m a paid ambassador for Northstar California and Vail Resorts during the 2016-2017 ski season. As always, all opinions are my own.